Green Valley Yurts is a beautiful little small holding situated in the Dorchester area. We happened to stumble upon this little gem on Airbnb. We were heading to the area to visit the Haynes motor museum and decided to make a long weekend of it near Weymouth. 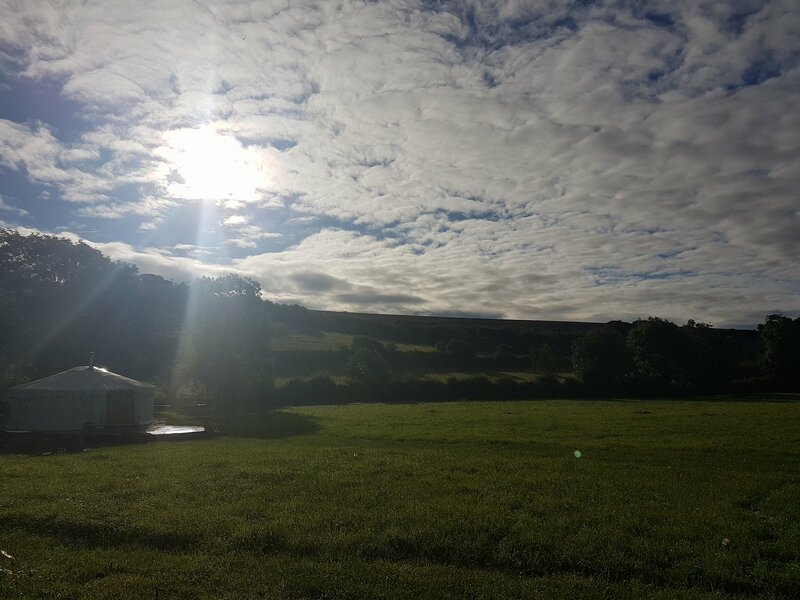 Situated within a few miles of the beautiful little village of Cerne A bbas Green Valley Yurts is a little eco small holding complete with pigs, vegetable patches and vast amounts of space. This idilic setting is perfect for the individual, couple or small family looking for a relaxing retreat. The Yurts themselves are without running water or electricity however this is all available in a communal area, providing very nice private showers and a kitchen. Our particular yurt had an incredibly comfy double bed and two pull out beds, which in fairness were also rather comfy. In the centre was a little log burner which pumps out more than enough heat to keep you toasty in the night. This particular adventure I went on was with my dad and we had both said how we would happily take to living in something of this style if we were to every choose the simpler life. Something i feel i will most probably always yearn for, however the reality of making it happen is easier said than done. As with everything in our day and age. Although fairly fresh to put it lightly, we did venture to Weymouth sea front the following day. The beautiful harbour and fresh sea air were a welcome change to what we are used to in the midlands, admittedly we do live rather in the countryside however everyone enjoys a bit of a change from time to time. Weymouth’s very well kept sea front and shopping district made for a great days exploring, I had hoped to be able to spend some time relaxing on the sand and although the sky was clear and the sun was out it was far from the right temperature! Unfortunately we actually came across some mechanical issues with the trusty old T4 transporter in th e carpark meaning some emergency mechanical work had to be done and regrettably cutting our trip a day short. Heather from Green Valley very kindly said we could return and use the second night we had paid for once they opened again in spring time. I shall most definitely be taking her up on this offer as it is a place i have a great desire to visit again. Any excuse to escape to peace and tranquility.